We the undersigned, the American people, petition Congress to take immediate and effective measures to protect the public from electromagnetic pollution. 1. Mandate the Federal Communications Commission (FCC) revisit its exposure guidelines for radiofrequency radiation (RF) immediately. 2. Repeal Section 704 of the Telecommunications Act of 1996, which took away the rights of state and local governments to stop the erection of cell towers and wireless antennas in their communities based on "environmental" grounds (defined by FCC as "human health"). 3. 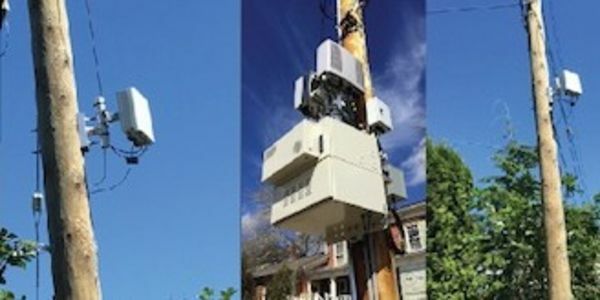 Declare a national moratorium on further wireless infrastructure build-out, including the Wi-Max roll-out currently underway, a joint venture of Sprint, Time Warner Cable, Google, Clearwire and others. 4. Establish cell phone and wireless-free neighborhoods, transportation options, government buildings, and public spaces; require employers to establish wireless free zones; and, mandate the removal of cellular and wireless technologies from public schools and their properties. We ask members of Congress to act swiftly, decisively and with full integrity to stem the emerging electromagnetic radiation pollution increasingly permeating the lives of the American people. There has never before been a public health issue as important. The European Parliament has voted resoundingly that exposure guidelines for electromagnetic fields are obsolete, and we are asking you to take the same action so our health, and the health of our children and unborn children, is no longer subject to the biological effects of excessive levels electromagnetic fields in our environment.%uFFFD Exposure to microwave radiation from wireless technologies in particular must be immediately curtailed as they are creating both immediate and long-term consequences for the health of millions of people. Known biological effects of radiofrequency radiation and low frequency fields were described in detail in the BioInitiative Report ( www.BioInitiative.org). In short, electromagnetic fields are leading to genetic effects, cancer, cellular/molecular effects, behavioral changes, nervous system dysfunction, blood-brain barrier permeability, calcium efflux, cardiovascular changes, sleeping disorders, hormonal disturbance, immune system changes, metabolic effects, fertility impairment and the interpersonal effects related to a constant background of stress. Congress must mandate that the FCC change exposure guidelines so they are biologically based, and ensure the telecommunications technologies to which we are exposed are compliant with these standards. Congress must repeal Section 704 of the Telecommunications Act of 1996 which took away state and local governments rights to resist towers and antennas in their communities on health or environmental grounds. In America, communities must have the right to say no when technology creates harm. Congress must declare a national moratorium on further wireless infrastructure build-out, including the Wi-Max roll-out currently underway, which many believe will significantly jeopardize the health of humans, animals and nature from chronic and incessant microwave radiation exposure. Congress must establish cell phone and wireless-free neighborhoods, transportation options, government buildings, and public spaces; require employers to establish wireless free zones; and, mandate the removal of cellular and wireless technologies from public schools and their properties. We ask Congress to act swiftly, decisively and with full integrity to stem the emerging electromagnetic radiation pollution increasingly permeating the lives of the American people. Please act immediately with the sense of urgency and integrity this issue deserves. There is ample evidence of the need to exercise extreme precaution as potentially irreversible harm is occurring to humans, animals and our ecosystem. We need Congress to immediately take a stand for the health interests of the American people and stop bending over backwards solely for the expansionist interests of industry. We ask each member of Congress to carry out his or her responsibilities to the American people by ensuring all wireless technologies sold here are compliant with new biologically-based guidelines.